At Fence It Houston we are commited to deliver quality and convenience at the right price in all our services and products. We listen to our customers, tailor the specific project that best serves their needs and we execute with expediency and professionalism. 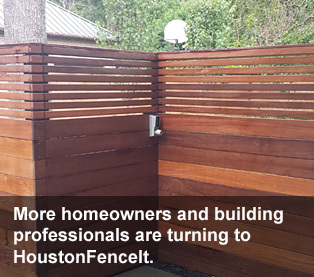 Fence It Houston wants to be the number one company in the eyes of our customers. Fence It Houston wants to be the company that is commited to serve you with the utmost honesty and reliability. We stand by our product. We build it. We guarantee it. Period. Peace of mind and great service. We are very pleased with our new fancy fence! © Fence It Houston Inc.